Joseph Bonaparte was in many respects the opposite of his younger brother Napoleon. Amiable and obliging, Joseph was fond of literature, gardening and entertaining. He was perfectly happy to spend his days pottering about his estate. Napoleon, however, had grander plans for his brother, most notably the Spanish throne. After Napoleon’s defeat in 1815, Joseph fled to the United States, where he is credited with bringing European culture to the locals. Joseph Bonaparte was born in Corte, Corsica, on January 7, 1768. He was the oldest of Charles and Letizia Bonaparte’s eight children (for the complete list, see Napoleon’s family tree), and a year and a half older than their second child, Napoleon. Napoleon became closer to Joseph than to any of his other siblings. They spent their early childhood together in Ajaccio. In late 1778, they together left Corsica to go to school in France. Joseph had been marked for the priesthood, so he began classical studies at a college in Autun, while Napoleon went to the military school in Brienne. Joseph Bonaparte didn’t want to be a priest. He, like Napoleon, wanted to be an artillery officer. When Charles Bonaparte was dying, he made Joseph promise to give up any thought of following a military career and instead return to Corsica to devote himself to family duties. Upon his father’s death in early 1785, Joseph became head of the family. He looked after the farm and vineyard and helped Letizia support his younger siblings. In 1787, on the advice of his great-uncle, Joseph left for Tuscany to enrol at the University of Pisa. The following year he graduated with a law degree. This enabled him to acquire a job in the French-Corsican judicial system. Joseph and Napoleon worked together to advance family interests and the French Revolutionary cause in Corsica. In 1790, Napoleon – by then an army officer – helped Joseph get elected to the municipal council of Ajaccio. After coming into conflict with Corsican nationalist leader Pasquale Paoli in 1793, the Bonapartes fled to France. Thanks to the help of a family friend, Joseph was able to get a job as a commissary of the army in the south of France. While staying in Marseilles, Joseph met Marie Julie Clary, the daughter of a wealthy merchant. Though not physically attractive, Julie was intelligent and of good character. Letizia liked her and – with an eye on the young lady’s fortune – thought she would be a good match for her son. On August 1, 1794 Joseph and Julie were married. Napoleon courted Julie’s younger sister Désirée, but her father decided that one Bonaparte in the family was enough. Napoleon in any case lost interest in Désirée once he became involved with Josephine. Désirée married General Jean Bernadotte. In one of history’s strange twists, she later became the Queen of Sweden. As Napoleon’s fortunes rose, so did Joseph’s. He briefly accompanied Napoleon on the Italian campaign. In 1797, he was elected as a Corsican deputy in the Council of Five Hundred. Soon after, he was appointed French ambassador to the court of Parma, and then to Rome. Joseph Bonaparte, by now a wealthy man, bought a townhouse on the Rue du Rocher in Paris. He also purchased the château and extensive lands of Mortefontaine, some 19 miles north of the city. Joseph and Julie had two daughters (a third died shortly after birth): Zénaïde, born July 8, 1801, and Charlotte (known as Lolotte), born October 31, 1802. Joseph was not entirely happy with his brother’s constraints. The friction became intense once Napoleon became consul for life (1802) and then Emperor (1804). They clashed over the issue of whom Napoleon – then childless – would name as his successor. Joseph, as the eldest brother, claimed he should be recognized as heir. Napoleon wanted to recognize their younger brother Louis’s eldest son. Joseph refused Napoleon’s offer to make him King of Lombardy if he would waive all claim of succession to the French throne. The Spanish regarded the French as atheists and foreigners who deserved no mercy. They called Joseph Pepe Botellas (Joe Bottles) for his alleged heavy drinking (in fact Joseph was a light drinker). They also hacked French soldiers to pieces. Joseph tried to conciliate his new subjects through moderate policies, while trying to cope with Napoleon’s stream of contradictory orders from Paris. Napoleon divided Spain into six military districts. He allowed his marshals to exercise independent authority over the areas they controlled, thus undermining his brother’s rule. Joseph asked Napoleon if he could resign; instead, in 1812, he was made Commander-in-Chief of all the forces left in Spain. On June 21, 1813, Joseph decided to engage the Duke of Wellington in a pitched battle at Vitoria, against Marshal Jourdan’s advice. The French lost. Joseph galloped for the frontier. He had to abandon his baggage train, which contained private papers, paintings removed from the Spanish royal palaces, and other valuables that belonged to the Spanish crown. These were scooped up by the British. You can see these splendid canvases in the collection at Wellington’s former residence, Apsley House, in London. Joseph returned to Mortefontaine. Napoleon proposed that Ferdinand VII – of the Bourbon family he had removed to put Joseph on the throne – return as King of Spain and that friendship between the two countries be cemented by marriage between Ferdinand and Joseph’s daughter Zénaïde (then age 13). Joseph objected. Under strong pressure, Joseph acquiesced to the transfer of the Spanish crown to the House of Bourbon on the understanding he would retain his title of King Joseph (he never formally abdicated). Ferdinand VII returned to the throne, but Zénaïde was spared. On March 30, 1814, when the allied troops reached Paris, Joseph Bonaparte and his family fled to Switzerland. He bought an estate at Prangins, between Geneva and Lausanne. When Napoleon escaped from Elba in 1815, Joseph returned to Paris to join him. After Napoleon’s second abdication, when Napoleon was dallying at Rochefort wondering what to do, Joseph gallantly offered to change places with his brother so the latter could board the American brig – the Commerce, of Charleston – Joseph had chartered for his own escape. Joseph left for the United States only when he heard that Napoleon had surrendered to Britain’s Captain Maitland of HMS Bellerophon. Although the Commerce was twice inspected by British boarding parties, Joseph’s false papers escaped detection. He arrived in New York on August 28, 1815 with his Spanish ordinance officer Unzaga, his interpreter James Carret (an American who had grown up in northern New York State), his cook Francois Parrot, and his secretary Louis Mailliard. It is said that Congressman Henry Clay vacated his hotel suite so Joseph would have a place to stay. Joseph left Julie and the girls in Paris. They later moved to Frankfurt and then to Brussels. The Americans were impressed at having a king in their midst, but decided to officially ignore him. When Joseph set out for Washington with the intention of meeting President Madison, he was intercepted and told that a meeting could not take place. Trying to remain somewhat incognito, Joseph assumed the title of the Count of Survilliers, after a small property he owned near Mortefontaine. He was able to transfer a large part of his fortune to the United States, where he invested it. He rented a house in Philadelphia and bought an estate called Point Breeze in Bordentown, New Jersey. He also bought a large tract of land in upstate New York, to which he made extensive improvements. The latter contained a 1,200 acre lake which Joseph named Lake Diana, after the goddess of the hunt. It is now known as Lake Bonaparte. Joseph’s homes became gathering places for other Napoleonic exiles, including Charles and Henri Lallemand and Charles Lefebvre-Desnouettes. He contributed generously to the French exiles’ Society for the Cultivation of the Vine and the Olive. As you can see by the guest list at Napoleon’s Point Breeze birthday party in Napoleon in America, Joseph developed friendships with many prominent Americans, including Charles Stewart (his house, “Old Ironsides,” was next door to Point Breeze), Joseph Hopkinson, Nicholas Biddle, Charles Ingersoll and Stephen Girard. He was elected a member of the American Philosophical Society, where he met more of America’s great and good. Joseph Bonaparte was well thought of in his new country. On January 4, 1820 Joseph’s house at Point Breeze was destroyed by fire. He was away at the time, and his neighbours rushed in to save as many of his possessions as they could, a fact that deeply touched Joseph. Joseph rebuilt the house – modelling it after Prangins – and created an extensive park and gardens. He arranged to have much of his furniture, rugs, paintings, tapestries, sculptures, wine and household effects transported from Europe. It was said to be the most impressive house in the United States after the White House. Joseph’s library held the largest collection of books in the country– some 8,000 volumes. In 1818 Joseph wrote to Julie that he was unhappy because he was isolated. Around this time he took a mistress, Ann (Annette) Savage, a buxom shop girl. He installed her in a house near Point Breeze. Joseph had been a ladies’ man even before he left France – Julie was aware of and tolerated his affairs. Despite the tut-tutting of the locals, Joseph fathered two children with Annette: Pauline, born in 1819, and Caroline Charlotte, born in 1822. In December 1823, Pauline was killed by a falling jardinière in Joseph’s garden. Shortly after this tragedy Joseph dispatched Anna to Paris, paying her not to publish her memoirs. 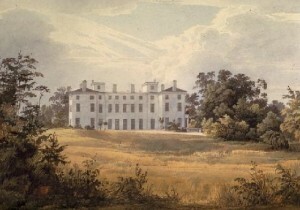 Joseph’s and Julie’s daughter Charlotte – who apparently remained unaware of her father’s affair – came to visit him in early 1822. That same year Zénaïde married Lucien Bonaparte’s son, Charles Lucien Bonaparte, an ornithologist. In 1823 they came to live at Point Breeze. Joseph built and decorated a separate house for them, known as the Lake House, connected by tunnel with the main house. Their oldest son, Joseph-Lucien-Charles-Napoleon, was born in Philadelphia on February 13, 1824, followed by a daughter, Alexandrine, on June 9, 1826. Joseph began an affair with Emilie Lacoste. She was the young (born in 1798) wife of Frenchman Félix Lacoste, who was away in Saint-Domingue. He had left Emilie in residence at Point Breeze as a companion for Charlotte and Zénaïde. It is believed Joseph was the father of Emilie’s twin sons, born on March 22, 1825, of whom only one – Félix-Joseph – survived. Charlotte returned to Europe in 1824. In 1826 she married Louis’s son, Napoleon Louis Bonaparte. Charles and Zénaïde left for Europe in 1828. Joseph sorely missed his daughters and his grandchildren. He was tired of exile and still identified with France, having never abandoned the Bonapartist cause. After the July Revolution of 1830, which overthrew Bourbon King Charles X, Joseph pleaded for recognition of the claim of Napoleon’s son, the Duke of Reichstadt, to the French throne. He purchased the French-language liberal American newspaper Le courrier des États-Unis and used it as an organ to promote his case. Hoping to advance the Bonapartist cause in person, Joseph sailed to Europe in 1832. He gave many of his American friends works from his collection as farewell presents. When his ship docked at Liverpool on July 24, he sadly learned that his nephew, the Duke of Reichstadt, had died two days earlier. During his stay in London Joseph was visited by his former foe, the Duke of Wellington. He repaid the visit to Apsley House, where he was astonished to see Canova’s marble statue of Napoleon. In 1835, Joseph returned to the United States. Joseph Bonaparte went back to England in 1836-37. He returned to the United States for a final visit in 1837-39. He was in Philadelphia when he learned that Charlotte had died in March 1839. Joseph returned to England and rented a house in London’s Cavendish Square. In June 1840 he suffered a serious stroke which paralyzed his right side. He moved to Italy to spend his remaining days with Julie and his brothers. He had another stroke in August 1843. Joseph Bonaparte died on July 28, 1844, at the age of 77. He was buried in the Church of Santa Croce in Florence. Julie died on April 7, 1845. In 1854, Zénaïde and Charles separated. Zénaïde died later the same year. Joseph Bonaparte had left Point Breeze to his eldest grandson Joseph. The latter sold the estate’s contents in two spectacular auctions crowded with buyers. Many Americans have (or claim to have) items that belonged to Joseph Bonaparte. A number of local museums, including the New Jersey State Museum, the Athenaeum of Philadelphia and the Philadelphia Museum of Art have some on display. The mansion itself was knocked down by a subsequent owner, as was Joseph’s house in northern New York. In June 1862, Louis-Napoleon (Napoleon III) had Joseph’s remains interred at Les Invalides in Paris in a ten minute ceremony. Though he had made up with Joseph before the latter’s death, Napoleon III did not bother to attend. The only Bonapartes present were several of Lucien’s daughters who happened to be in Paris. In 1839, Joseph’s daughter with Annette Savage, Caroline Charlotte, married Zebulon Howell Benton in New York. Taken with the idea of being a king’s son-in-law and a nephew of Napoleon, Benton insisted on a lavish ceremony. He was known for wearing a cocked Napoleon-style hat turned sideways and liked to be photographed with his hand in his coat, emulating Napoleon. He soon exhausted the $30,000 dowry Joseph had provided. Caroline Charlotte, with their five children (two named Zénaïde and Charlotte), eventually left him and taught French in Philadelphia. She died in 1890. Rick Wright has posted some photos of the Point Breeze grounds on his Birding New Jersey and the World website. Philip Dwyer, Napoleon: The Path to Power (New Haven & London, 2007), pp. 160-161. The Confidential Correspondence of Napoleon Bonaparte with His Brother Joseph, Vol. I (London, 1855), pp. 4-5. Ibid., p. 40, July 25, 1798. This letter, in which Napoleon poured out his heart to Joseph, was intercepted by Admiral Nelson’s fleet and published in the London Morning Chronicle. The British – and the French, when they heard of it – made much fun of it. A. Hilliard Atteridge, Napoleon’s Brothers (London, 1909), pp. 48-49. Charles Ross, Correspondence of Charles, First Marquis Cornwallis, Vol. III (London, 1859), p. 395. Laure Junot, Memoirs of the Duchess D’Abrantès, Vol. V (London, 1833), p. 63. A. du Casse, ed., Mémoires et Correspondance Politique et Militaire du Roi Joseph, Vol. 4 (Paris, 1854), p. 343 (July 12, 1808). Charles J. Ingersoll, History of the Second War between the United States of America and Great Britain, Second Series, Vol. 1 (Philadelphia, 1853), p. 380. Charles Edwards Lester and Edwin Williams, The Napoleon Dynasty, or the History of the Bonaparte Family (New York, 1856), pp. 387-388. Napoleon III, The Political and Historical Works of Louis Napoleon Bonaparte, Vol. II (London, 1852), p. 143. E.M. Woodward, Bonaparte’s Park, and The Murats (Trenton, N.J., 1879), p. 42. Wendy A. Cooper, Classical Taste in America, 1800-1840 (Baltimore and New York, 1993), p. 68. 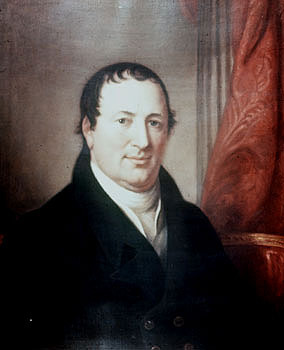 Burton Alva Konkle, Joseph Hopkinson, 1770-1842 (Philadelphia, 1931), p. 340. Patricia Tyson Stroud, The Man Who Had Been King: The American Exile of Napoleon’s Brother Joseph (Philadelphia, 2005), p. 188. Barry E. O’Meara, Napoleon in Exile; or A Voice from St. Helena, Vol. 1 (New York, 1885), p. 221. Do you know the timeline of Joseph’s activities when he returned to Europe in 1832? Besides being in England, did he travel elsewhere? Thanks. As far as I know, he stayed only in England on that trip. I remember references to Pepe Botellas in high school Spanish class. Interesting that the moniker remains that well-known, some 200 years later. A wonderful and fascinating article Shannon, many thanks. Keep them coming, every one is a gem and always so informative, but Joseph is my favourite so far! Thank you, Lally. That’s so kind! Thanks for commenting, Peter. I hope you get some leads. I have a framed portrait of Joseph Bonaparte that I could sell. IF you are interested, please contact me through Shannon. I have recently inherited a beautiful gun that was owned by Joseph Bonaparte. I have its provenance to prove it. Thinking of exhibiting it in a museum. Any ideas greatly appreciated. Thanks. 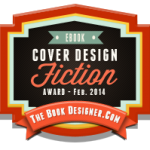 I don’t have any expertise in this area, but perhaps some readers do. Last fall I curated an entire exhibition on Joseph Bonaparte including many items from my personal Joseph Bonaparte collection. Consequently, I have a few suggestions concerning museums where your gun could be exhibited. Is there any possibility of seeing a picture of the gun? Thanks, Peter. Here’s a link to an article in The New York Times about your splendid exhibition, for readers who are interested: http://www.nytimes.com/2015/10/09/arts/design/from-waterloo-to-new-jersey-a-glimpse-of-joseph-bonapartes-life-in-exile.html. Shannon, a wonderfully anecdotal and interesting read (I’ve spent many enjoyable hours delving through the content on your site). One question-Joseph spent roughly 25 years of his life in English-speaking countries, so do you know if he was able to speak English? Or did he always require interpreters (or was lucky enough to encounter enough French-speakers in America and England)? Good point about Desirée. I didn’t realize she hadn’t learned any Swedish until you mentioned it. I gather Bernadotte didn’t bother much with the language either, even after becoming King Karl XIV Johan. Thank you for the honour of your invitation, Carol. I’ll follow up directly in private. How can I help? My DNA shows that I may be a small part of the Bonaparte family. Thanks for your kind offer, Barbara. If anyone wants to contact you, they can leave a message on this page (or via my contact page) and I’ll put them in touch with you. Thanks, Elle. I’m glad you liked the article. It would be great if Joseph and Letizia had left us their frank memoirs! You mention that Joseph was able “able to transfer a large part of his fortune to the United States”. Where can I find out more information on this subject (i.e. estimates of his wealth and how they were transferred)? 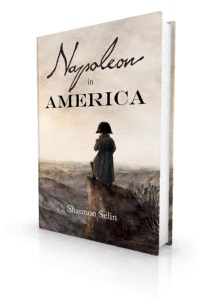 The best source on the financial and other details of Joseph’s time in America is The Man Who Had Been King: The American Exile of Napoleon’s Brother Joseph by Patricia Tyson Stroud (2005). Thanks so much for the wonderful read. Growing up in Bordentown and spending lots of time at Point Breeze gave me my passion for history! Thanks, John. I’m glad you enjoyed the article. I look forward to visiting Bordentown someday. Hello! I have a painting of Napoleon that was given to a prominent dentist in Philadelphia from Joseph Bonaparte. It was a token of hospitality. I have well documented lineage on the painting but am trying to uncover the provenance. There is a signature on the upper left hand corner that reads ”Faurier” or Faurian? Could even be Fevrier as in the month of the painting? Can anyone help with a direction? I have been in contact with some professionals to determine who this painting was done by. The dentist was originally from France, a friend of the Bonaparte family and a friend of the Marquis. Any ideas are greatly appreciated and received with gratitude. Thanks for providing these details, Kristine. I will privately contact some experts on Joseph Bonaparte’s art collection to see if they can be of assistance. Somewhat belatedly, I would like to point out that Joseph left voluminous memoirs and Letizia dictated a precise, but short, résumé about Napoleon’s childhood,to her young lady-in-waiting (whose name I have unfortunately forgotten-I think it is Rosa L.-something). Josephs Memoires edited by a man called Du Casse, if I remember correctly. Shannon, perhaps you could pass my Email address on to Peter Tucci, he might still be interested in my portrait of Joseph Bonaparte. Thanks, Irene. I’ll give your email address to Peter. Joseph, though he has much talent and genius, is too good a man, and too fond of amusement and literature, to be a king.